It's Breast Cancer Awareness Month: Have Your Joined the Fight? October is Breast Cancer Awareness Month, the time when people around the world come together to generate awareness and raise money to help in the fight against the disease. Millions of women are affected each year by breast cancer, and Patterson Dental is committed to helping at the local level. Grins for a Good Cause, Patterson’s breast cancer awareness initiative, was launched just over two years ago. Since then, well over $500,000 has been raised to increase breast cancer awareness and help support underserved women and their families who are battling this disease. Instead of donating to one national foundation/charity, Patterson has decided to use the strength of its 75 branches to help organizations in each local area. In addition to the support from our employees, we’d like you to partner with us in this initiative too! 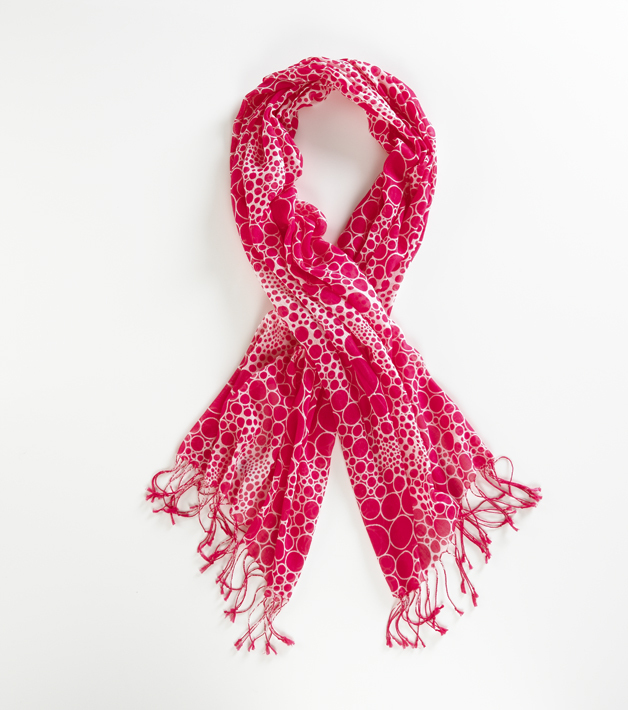 The annual September/October Grins for a Good Cause flyer was mailed out last month, featuring many pink dental products and fun accessories, like the Tickled Pink Scarf featured below. It’s a win-win-win! To purchase your own scarf, click here. For more information about Grins for a Good Cause, please contact your Patterson representative or local branch.